Why haven’t we heard more about the use of stem cells in Veterinary medicine before now? Embryonic stem cells are likely the first thing we think of when we hear the words “stem cells”; however, they are not what is used in Veterinary medicine today. Besides the moral and ethical issues associated with embryonic stem cells, they are less predictable and less hardy than the adult stem cells we use in Veterinary medicine. Adult stem cells were first found in the blood and bone marrow and have been used in humans for treating leukemia since the 1960’s. The process, however, is an involved one. 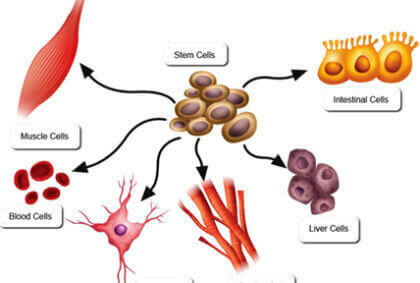 Later research found that adult stem cells are found in most, if not all, tissues of the body, but not necessarily in high enough numbers to be used efficiently. In recent years researchers have found that fat tissue has a rich supply of adult stem cells. So, for the first time, a therapeutic option yielding enough robust cells that are ready and capable of healing, have made stem cell therapy clinically viable. These adult stem cells are called mesenchymal stem cells and are the hottest topic in regenerative medicine today. These stem cells are present in the body in large numbers specifically for the restoration, repair and regeneration of damaged tissue. Many Veterinarians have been using stem cell therapy for years, but very few have the capability to use them in the treatment of IVDD like we are able to at Safari.